The problem with choosing wine is there are just too many choices and this makes it a daunting task if you have no idea about wines. What’s the answer? Here are a few points to help you choose like a pro! First things first, discover your own preference for wine taste. Many people know when they like a wine. But the difficult part is understanding why. What do you like about it, and how do you describe what it is that you like about that wine? Is it light or full bodied? Is it tannic or not? What are tannins anyway? Is it fruity or sweet? Do fruity and sweet mean the same thing? And, if you try and like a Shiraz, does that mean you will like all Shiraz? All these questions can be answered by tasting wines, and then tasting more wine! Yet tasting is not enough as you must pay attention to what you are tasting. In my opinion, it is a good idea to learn with comparative tastings. Take for example the Chardonnay grape. It is grown in Mornington Peninsula, Victoria and also in Margaret River, Western Australia. Tasted side-by-side, you may first think that both Chardonnay’s have little in common, yet they are both made from Chardonnay grapes. When you taste a wine of the same variety side-by-side, you can easily begin to learn the differences between a full bodied and a light bodied wine; and a low tannin wine and a high tannin wine, etc. Decide whether you want a white wine, red wine, sparkling wine, dessert wine or fortified wine. This will narrow down your choices and give you some direction. If you know your preferences for other wine characteristics, then it will also be a good idea to decide on these. If you don’t know your preferences then I have included a short description here to help you in your comparative wine tastings. Tannins are a vital ingredient in wines, especially red wines. It comes from the stalks, skins and pips of grapes. Tannins in a young wine produce a bitter, puckering taste on the palate. The “length” of a wine is the amount of time the sensations of taste and aroma persist after swallowing. Usually, the longer the better. Acids of various types are present in wine, and are essential to the wine’s longevity and also to your enjoyment. Too little can affect the wine’s quality and too much can spoil the wine. A higher acidity makes the wine more tart and sour tasting; whereas a low acidity results in flat tasting wine that is more susceptible to spoilage. Acidity is that quality that makes your mouth water and your lips pucker, and without it, wines (and anything for that matter!) taste pretty flat and one dimensional. However, when acidity is present in the right quantities, it is the element that makes all of the other flavours in the wine stand out, including the undertones of fruit, spice and herbs. The flavour in wine that you would describe as tangy, sharp, refreshing, bracing, bright, crisp or zingy is the acidity. To get a picture of the differences between a light-bodied wine and a full-bodied wine think about milk as an analogy. Light-bodied is analogous to skim milk and full-bodied wine analogous to full-cream milk, and the variations in the “body” of wine are like varying levels of fat-content in milk. Wines might be stored in oak barrels, usually to impart extra and more complex flavours. French, American and German oak barrels are widely used in Australia. Oaky describes the aroma or taste quality imparted to a wine by the oak barrels in which it was aged. The terms toasty, vanilla, dill, cedary and smoky indicate the desirable qualities of oak; charred, burnt, green cedar, lumber and plywood describe its unpleasant side. It is important to purchase wine from liquor outlets that take proper care of their wine, e.g. buying direct from the winery’s cellar door is a good option. Extreme heat or cold, direct sunlight, and dramatic temperature fluctuations are not good for wine. Also, before you buy, make sure the wine is filled up to the neck of the bottle, the cork is not pushing out of the bottle, and there are no signs of leakage. There are lots of good reasons to explore all of the wines that Australia has to offer in all its diversity. Don’t just stick to the well-known varieties like Chardonnay or Shiraz – experiment with other whites like Sauvignon Blanc, Riesling and Gewurztraminer or reds like Zinfandel, and Pinot Noir. Also, try examples of a particular variety from different wine regions to understand how regional conditions affect the wine’s character. Expose yourself to every type of wine. The more you taste the more you will understand and the easier wine selection will become. When you find a wine you really like, consider buying wine by the case (12 bottles). 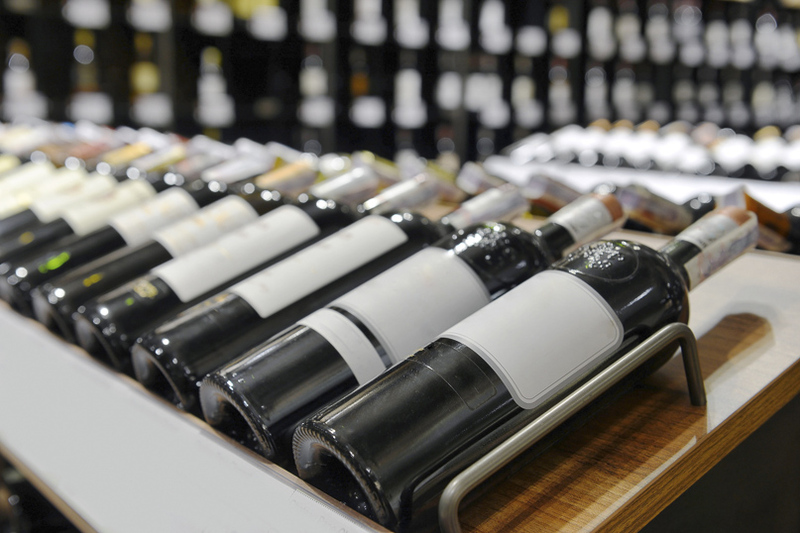 Most wineries will offer you a 10% or 15% wine discount when you purchase a case of wine or more. The ultimate goal of wine buying is to buy wines that taste good to you. Just because a merchant, friend or wine writer says a wine is good doesn’t mean you’ll like it. Conversely, don’t shy away from a wine because someone else says that it is no good. The only judge of good taste in wine is you. And herein lies one of the biggest benefits of so much choice: you are sure to find wines that are perfect for your own unique taste buds. All you need is just a little knowledge as described above and the willingness to explore. And most importantly, be open to the possibilities and then, make note of them and learn from them.